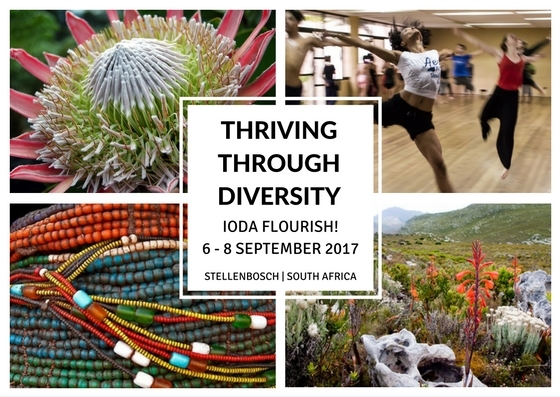 The South African OD Network (SAODN) has the once-off privilege of hosting the International OD Association Conference in South Africa. This is an amazing opportunity to learn from, share and network with top Organisation Development Practitioners, Change and Transformation Specialist, Facilitators and Diversity Practitioners from all over the world. More than 25 countries are represented by over 150 conference delegates. IODA only comes to South Africa once every two to three decades, so you will not get another opportunity like this to learn from and be in the room with OD greats from all over the world soon. 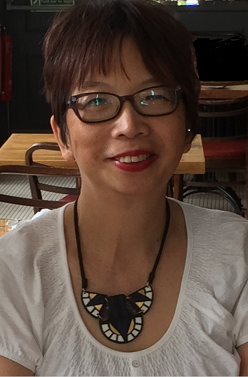 We are excited about the participation of Mee-Yan Cheung-Judge, author of one of the seminal books in many people’s OD education Organization Development: A Practitioner’s Guide for OD and HR. The conference theme is THRIVING THROUGH DIVERSITY. During the two pre-conference, three conference days and one post-conference day we will explore the role and form of OD in embracing diversity in organisational, systemic and social change. 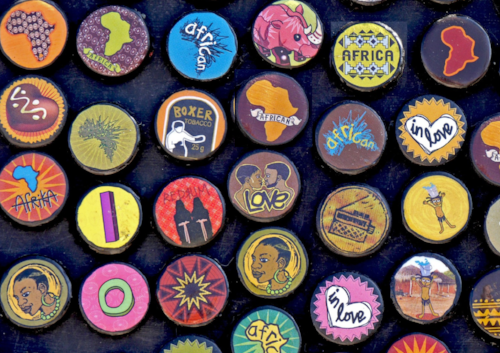 South Africa offers great insight into the paradox of collaboration and competition: through our people, our societal structures, our organisations and our natural environment. As a country, our transformation is a work-in-progress, with many lessons still being learned on how to move beyond surviving and into thriving, especially in this era of Identity Politics and challenges to our democratic project. Come join friends and colleagues from around the world to celebrate our own diversity and explore how we can help it thrive across all sectors. IODA was last hosted in South Africa in 1993 at the dawn of South Africa’s journey of transformation. As we step 25 years forward to 2017 and into the present day, the project of our transformation has many stories to tell. Mee-Yan Cheung-Judge The changing context, the evolving field, and the developing practice – our role in getting ourselves future-ready? Mee-Yan was awarded the 2016 Richard Beckhard award from IODA for her outstanding contribution to OD and her book Organization Development: A Practitioner’s Guide for OD and HR has been instrumental in many OD practitioners work over the past five years. 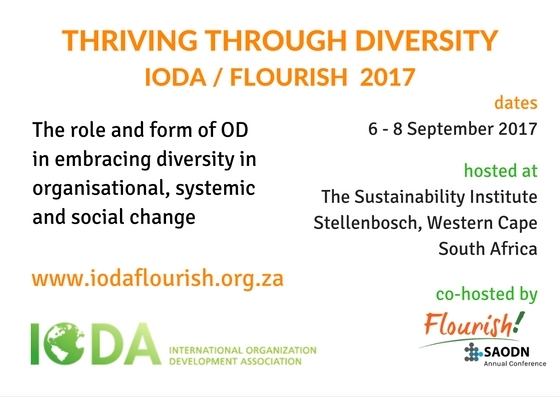 You can register online through the website: http://www.iodaflourish.org.za/register-1, and the closing date for this will be 2 weeks before the commencement of the conference. You will be issued with an invoice once you have completed the registration online. *|HTML:LIST_ADDRESS_HTML|* *|END:IF|*Let us know if you are receiving duplicate mails and we will fix that for you – info@saodn.net.Want to change how you receive these emails?